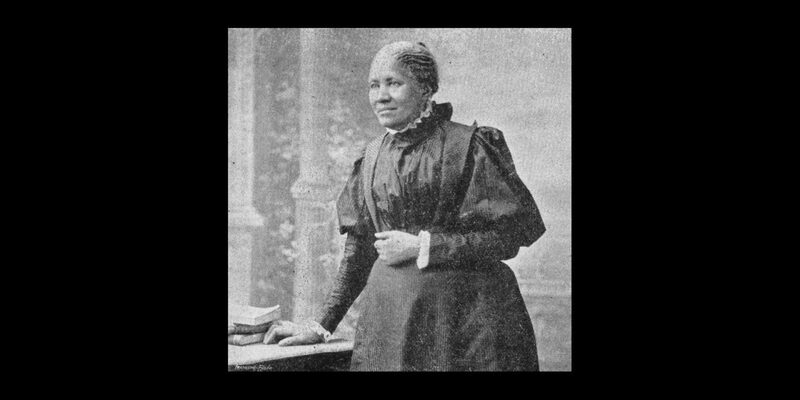 An essay on the value of education among black women mothers, written by Frances Ellen Watkins Harper, an abolitionist before the civil war and activist after. She was among the founders of the National Association of Colored Women in 1895. It is nearly thirty years since an emancipated people stood on the threshold of a new era, facing an uncertain future – a legally unmarried race, to be taught the sacredness of the marriage relations; an ignorant people, to be taught to read of the Christian law and to learn to comprehend more fully the claims of the gospel of the Christ of Calvary. A homeless race, to be gathered into homes of peaceful security and to be instructed how to plant around their firesides the strongest batteries against sins that degrade and the race vices that demoralize. A race unversed in the science of government and unskilled in the just administration of law, to be translated from the old oligarchy of slavery into the new common-wealth of freedom, and to whose men came the right to exchange the fetters on their wrists for the ballots in their right hands -a ballot which, if not vitiated by fraud or restrained by intimidation, counts just as much as that of the most talented and influential man in the land. The home may be a humble spot, where there are no velvet carpets to hush your tread, no magnificence to surround your way, nor costly creations of painter’s art or sculptor’s skill to please your conceptions or gratify your tastes; but what are the costliest gifts of fortune when placed in the balance with the confiding love of dear children or the devotion of a noble and manly husband whose heart can safely trust in his wife? You may place upon the brow of a true wife and mother the greenest laurels; you may crowd her hands with civic honors; but, after all, to her there will be no place like home, and the crown of her motherhood will be more precious than the diadem of a queen. We read that Christ left us an example that we should tread in His footsteps; but does not the majority of the Christian world hold it as a sacred creed that the first print of His feet in the flesh began in the days of His antenatal life; and is not the same spirit in the world now which was there when our Lord made His advent among us, bone of our bone and flesh of our flesh; and do we not need the incarnation of God’s love and light in our hearts as much now as it was ever needed in any preceding generation? Do we not need to hold it as a sacred thing, amid sorrow, pain, and wrong, that only through the love of God are human hearts made strong? And has not every prospective mother the right to ask for the overshadowing of the same spirit, that her child may be one of whom it may be truly said, “Of such is the kingdom of heaven,” and all his life he shall be lent to the Lord? Had all the mothers of this present generation dwelt beneath the shadow of the Almighty, would it have been possible for slavery to have cursed us with its crimes, or intemperance degraded us with its vices? Would the social evil still have power to send to our streets women whose laughter is sadder than their tears, and over whose wasted lives death draws the curtains of the grave and silently hides their sin and shame? Are there not women, respectable women, who feel that it would wring their hearts with untold anguish, and bring their gray hairs in sorrow to the grave, if their daughters should trail the robes of their womanhood in the dust, yet who would say of their sons, if they were trampling their manhood down and fettering their souls with cords of vice, “O, well, boys will be boys, and young men will sow their wild oats.” I hold that no woman loves social purity as it deserves to be loved and valued, if she cares for the purity of her daughters and not her sons; who would gather her dainty robes from contact with the fallen woman and yet greet with smiling lips and clasp with warm and welcoming hands the author of her wrong and ruin. How many mothers to-day shrink from a double standard for society which can ostracise the woman and condone the offense of the man? How many mothers say within their hearts, “I intend to teach my boy to be as pure in his life, as chaste in his conversation, as the young girl who sits at my side encircled in the warm clasp of loving arms?” How many mothers strive to have their boys shun the gilded saloon as they would the den of a deadly serpent? Not the mother who thoughtlessly sends her child to the saloon for a beverage to make merry with her friends. How many mothers teach their boys to shrink in horror from the fascinations of women, not as God made them, but as sin has degraded them? Among the things I would present for the enlightenment of mothers are attention to the laws of heredity and environment. Mrs. Winslow, in a paper on social purity, speaks of a package of letters she had received from a young man of talent, good education, and a strong desire to live a pure and useful life. In boyhood he ignorantly ruined his health, and, when he resolved to rise above his depressed condition, his own folly, his heredity and environment, weighed him down like an incubus. His appeals, she says, are most touching. He says: “If you cannot help me, what can I do? My mother cursed me with illegitimacy and hereditary insanity. I have left only the alternative of suicide or madness.” A fearful legacy! For stolen money and slandered character we may make reparation, but the opportunity of putting the right stamp on an antenatal life, if once gone, is gone forever; and there never was an angel of God, however bright, terrible, or strong he may be, who was ever strong enough to roll away the stone from the grave of a dead opportunity. Or, take another line of thought. 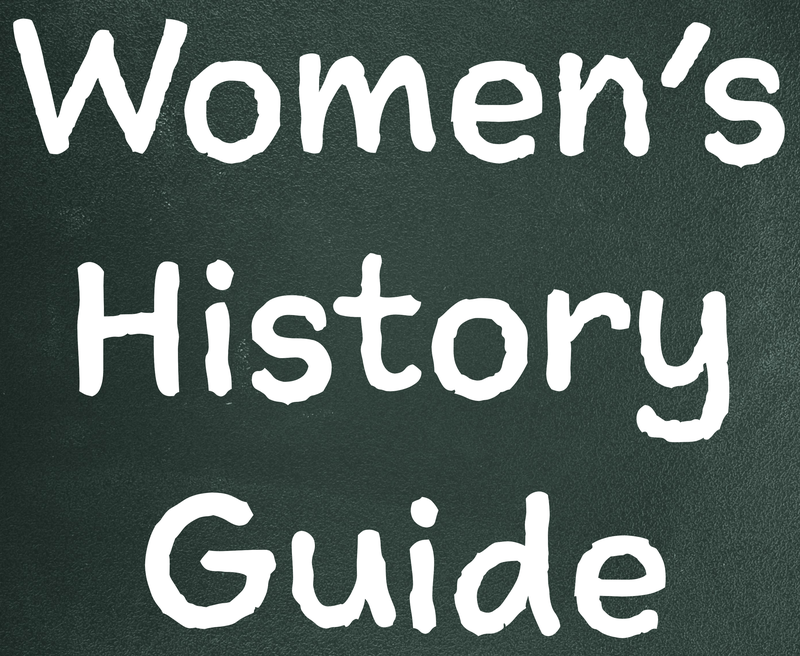 Would it not be well for us women to introduce into all of our literary circles, for the purpose of gaining knowledge, topics on this subject of heredity and the influence of good and bad conditions upon the home life of the race, and study this subject in the light of science for our own and the benefit of others? For instance, may we not seriously ask the question, Can a mother or father be an habitual tippler, or break God’s law of social purity, and yet impart to their children, at the same time, abundant physical vitality and strong moral fibre? Can a father dash away the reins of moral restraint, and, at the same time, impart strong will-power to his offspring? May Wright Sewall, president of the Woman’s National Council, writing of disinherited children, tells of a country school where health and joyousness and purity were the rule, vulgarity and coarseness the exception, and morbid and mysterious manners quite unknown. There came one morning, in her childhood, two little girls, sisters, of ten and twelve years. They were comfortably dressed. At the noonday meal their baskets opened to an abundant and appetizing lunch. But they were not like other children. They had thin, pinched faces, with vulgar mouths, and a sidelong look from their always downcast eyes which made her shudder; and skin, so wrinkled and yellow, that her childish fears fancied them to be witches’ children. They held themselves aloof from all the rest. For two or three years they sat in the same places in that quiet school doing very little work, but, not being disorderly, they were allowed to stay. One day, when my father had visited the school, as we walked home together, I questioned him as to what made Annie and Minnie so different from all the other little girls at the school, and the grave man answered: Before they were born their father sold their birthright, and they must feed on pottage all their lives. She felt that an undefined mystery hovered around their blighted lives. She knew, she says, that they were blighted, as the simplest child knows the withered leaf of November from the glowing green of May, and she questioned no more, half conscious that the mystery was sin and that knowledge of it would be sinful too. The work of the mothers of our race is grandly constructive. It is for us to build above the wreck and ruin of the past more stately temples of thought and action. Some races have been overthrown, dashed in pieces, and destroyed; but to-day the world is needing, fainting, for something better than the results of arrogance, aggressiveness, and indomitable power. We need mothers who are capable of being character builders, patient, loving, strong, and true, whose homes will be uplifting power in the race. This is one of the greatest needs of the hour. No race can afford to neglect the enlightenment of its mothers. If you would have a clergy without virtue or morality, a manhood without honor, and a womanhood frivolous, mocking, and ignorant, neglect the education of your daughters. But if, on the other hand, you would have strong men, virtuous women, and good homes, then enlighten your women, so that they may be able to bless their homes by the purity of their lives, the tenderness of their hearts, and the strength of their intellects. From schools and colleges your children may come well versed in ancient lore and modern learning, but it is for us to learn and teach, within the shadow of our own homes, the highest and best of all sciences, the science of a true life. When the last lay of the minstrel shall die upon his ashy lips, and the sweetest numbers of the poet cease to charm his death-dulled ear; when the eye of the astronomer shall be too dim to mark the path of worlds that root in light and power on high; and when all our earthly knowledge has performed for us its mission, and we are ready to lay aside our environments garments we have outworn and outgrown: if we have learned that science of a true life, we may rest assured that this acquirement will go with us through the valley and shadow of death, only to grow lighter and brighter through the eternities.